Kerri Rush, “the wheatgrass girl” is the owner, farmer and chef at Fresh Wheatgrass Girl Farm in Carlisle, Iowa. She started growing wheatgrass in 1996 when her Mother was diagnosed with stage 4 colon, liver and lymph node cancer. After researching “alternative” healthy ways to give her immune system a boost she found it in wheatgrass and juicing (her mother is now cancer free!). Kerri became hooked on all of the benefits of wheatgrass and her business started growing! She opened up Fresh Cafe & Market and a Fresh Juice Stand at the Downtown Des Moines Farmers Market in 2006 (find her there every Saturday morning on the corner of 3rd & Court). She specializes in juices, smoothies, salads and anything that can be made with fresh produce. 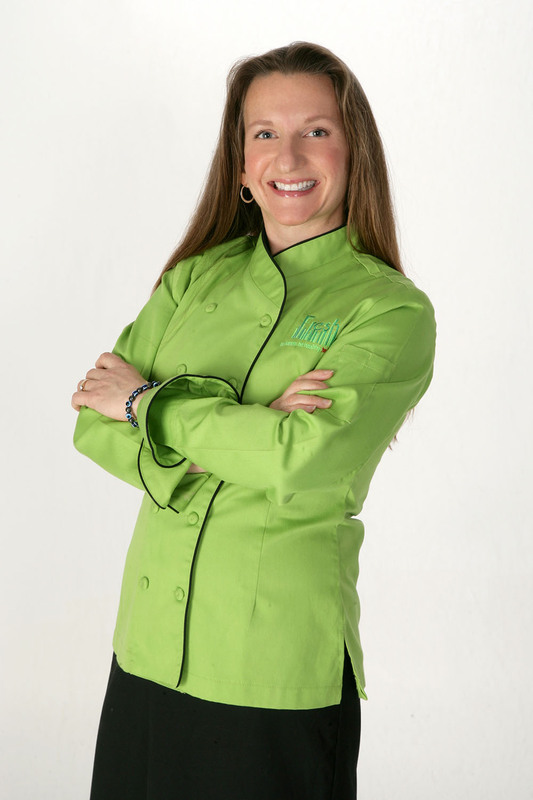 Kerri is an award winning Chef with a knack for making healthy taste great!